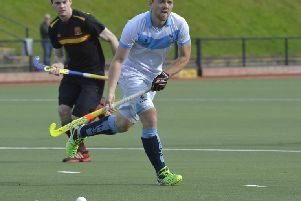 With leaders Cookstown and nearest rivals Annadale both having their games postponed, Kilkeel took advantage to move to the top of the Ulster Premier League table after a 3-0 win over Belfast Harlequins at the Co Down venue on Saturday. Eddie Agnew, Johnny Aiken and William Annett got the goals in a comfortable victory to leave Kilkeel two points clear at the summit. However, even at this stage, it looks like Cookstown’s title to lose as they trail by just two points but have the benefit of two games in hand. Annadale, who lost 3-1 to the Tyrone side last week, are level on points with Cookstown but have played a game more. However, Kilkeel, while not out of the chase to secure an Irish Hockey League play-off place, could play a big part in the title race as they still have to host Cookstown. In the only other top-flight game to survive the frost and snow, a herculean effort from the club’s volunteers ensured Raphoe’s clash with Campbellians went ahead in Donegal. And it turned out to be well worth the effort as Raphoe scored their first win of the season with a hard-fought 4-2 victory at Royal & Prior School. Alex Tinney got two of the Raphoe goals with Alan Meehan and Ian McGonigle also on target for the home side and Joel Eastea and Simon Moore replying for the east Belfast team. The result means that Raphoe remain bottom of the table but they are now just two points adrift of Saturday’s opponents.